Team Suzuki Press Office – August 6. 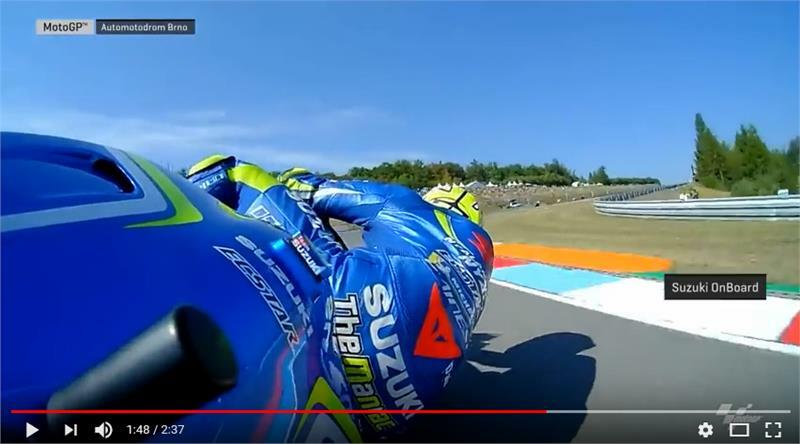 Check out the latest video of Team SUZUKI ECSTAR’s Andrea Iannone for an exciting onboard lap of the Automotodrom Brno in the Czech Republic during this weekend’s 10th round of the 2018 MotoGP™ World Championship. The GSX-RR rider finished yesterday’s race in 10th position with team-mate Alex Rins 11th. The series now moves on to the Red Bull Ring in Spielberg, Austria this coming weekend for round 11, following today’s official test at the Brno circuit.